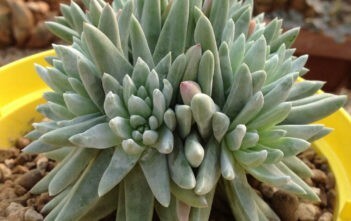 The high demand for Dudleya plants, especially in the Asian region, is attracting poaches. There have been recorded cases of people smuggling them to China and Korea because they are considered trendy. According to a report in NBC San Diego, two Southern California natives were caught trying to ship stolen Dudleya plants in eastern Asia in February of this year. The succulent plant poachers were subsequently sentenced, and two more cases are pending in court. In another case that took place in Humboldt County, three men were caught for illegally possessing 2,000 Dudleyas. One Chinese and two Koreans were sentenced to about four years in state prison and a fine of thousands of dollars for the crime. The California Department of Fish and Wildlife urges people to report such instances to them through their hotline at (888) 334-2258. The agency said that they will treat each call as confidential. On the other hand, succulent growers are taking steps to prevent the poaching of Dudleyas. They are planting valuable succulents on a massive scale to combat the illegal harvesting of these valuable plants. Dudleya plants are very attractive because they often grow small charming rosettes on their branches. However, since there are around 40 to 50 varieties of this plant, some may not have branches. These are native to the western states of US, Mexico and other areas in the Southern American continent. As a consumer, you can also help prevent the poaching of succulent plants in your own way. Buy only from a legit and reliable source like Cal Farms. You can grow these plants in your backyard or indoor garden too. Dudleyas are easy to grow. Like most succulents, they do not require much attention like frequent watering. These succulents can be propagated from seeds, cuttings or division. You can plant them in small containers or pots filled with garden soil or sand. The containers or pots should have small holes in their bases to allow excess water to drain. Dudleya plants thrive in dry conditions, so it’s recommended that there should be long intervals in between watering. We suggest watering them only during the fall and stop watering them during the summer season. Make sure that the water is directed to the roots of the plant as this type of succulent cannot tolerate getting its leaves wet. It’s for that reason that you might notice a white wax covering its leaves. This serves as a coating that prevents the stagnation of water droplets from its leaves. As much as possible, avoid touching the leaves to keep its coating undisturbed. Dudleya plants love the sun. Therefore, make sure that you position them in places that get the most sunlight. An adequate amount of lighting from the sun gives them a healthy green glow, but too little of it can result to its leaves getting soft and stretching. These succulents cannot tolerate frost. They will surely wither in that condition. However, they can survive as low as 40 degrees Fahrenheit. It’s almost Easter, which means springtime is almost here (well, for some states, at least) and we can finally get out of the house and plant succulents post-winter. Since we’re celebrating Easter bunnies this Sunday, we might as well deck our homes and our gardens with Easter-themed plants. While typically, we like decorating our homes with stuffed Easter bunnies and chocolate bunnies, let’s divert from our sweet-toothedness this year and focus on how to decorate with succulent plants. Currently very popular in Japan because they are so kawaii, these bunny succulents (or monilaria moniliformis or monilaria obconica scientifically) can be the cutest addition to your garden this year’s Easter. The stems have a beaded structure and although these plants are very rare, they require very low maintenance. You may bring them over to your house via your local gardening supply shop or you can buy from numerous online stores. A pack consists of 10 seeds, which are perfect for two containers. These plants can grow up to eight inches tall. 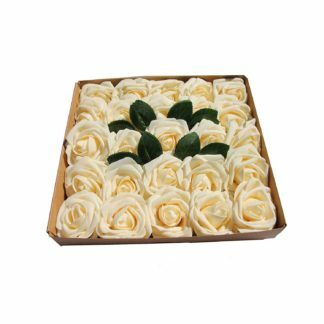 The flowers, once they bloomed, are white in color with a yellow center. 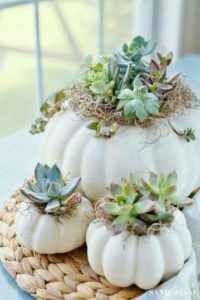 During the colder months (especially now that winter hasn’t really gone away), keep them indoors where they thrive and make everything look super cute. If you don’t have the time to grow these bunny succulents in time for Easter Sunday, you can always order ones that are already planted. 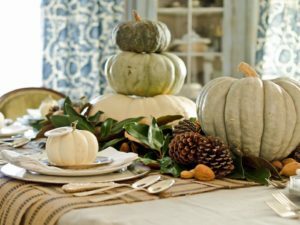 Use them as centerpieces on the dining table or decorate your foyer with them. You can experiment with other Easter-themed decorations to highlight these bunny succulents even more. To take care of the bunny succulents, use a well-draining soil and containers with small holes at the bottom. You can use a universal fertilizer though the succulents won’t require too much of it. Since these are native to South Africa, they don’t need much watering but they thrive in loam-based compost in their containers. If you cannot get your hands on some bunny succulents, you can always decorate using your pots and containers. 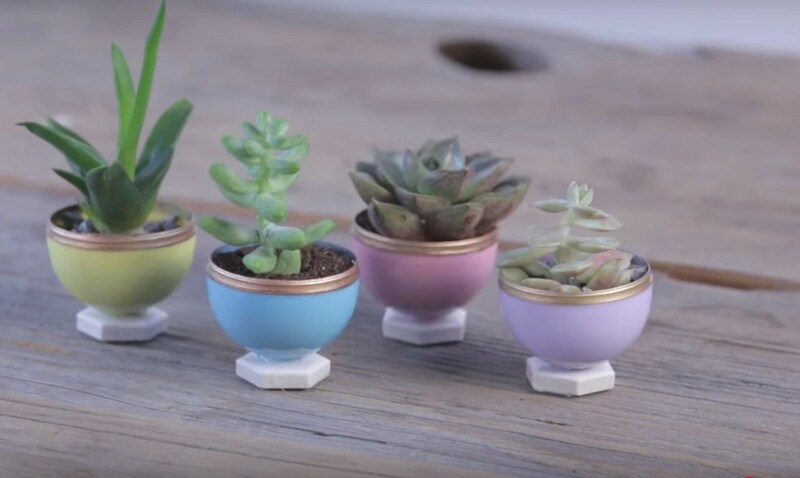 Get some cute Easter egg succulent planters from your local gardening store and plant whatever tiny succulents you have in your house. You can either plant a new seed in the container or you can cut a stem from an already existing succulent and transfer that to the Easter egg pot. The best way to use these planters to decorate your house for Easter is to color them with springtime palette and glitters. You can get acrylic paints from your local hardware. Make sure to focus on these colors: pink, bright yellow, yellow-green, aqua blue, and vivid violet. These springtime hues will bring a pop of color into your homes. You should coat them with a shiny gloss afterward so dirt won’t stick on them too much. Make sure to let the containers dry first before you begin transferring succulents into them. Fill the egg containers with as much soil as needed by the plants and even if they look super cute and don’t look real at all, never forget to water them and put them under the sunlight. The celebration of Easter Sunday is coming up. If you are looking to immerse yourself in the event, you might want to consider decorating your home with succulents planters inspired by this Christian tradition. These succulents planters make use of plastic eggs, which are symbolic to the occasion. In the Christian tradition, Easter Sunday is a festival commemorating the resurrection of Jesus Christ after his death from crucifixion as described in the New Testament of the Christian Bible. In many cultures one of the things that eggs represent is new life. Therefore, these are decorated and turned into Easter eggs in connection to Christ’s resurrection. Eggs are also associated with kingship, which stand for the position of Jesus in heaven. Based on the video made by Country Living, there are only eight kinds of supplies needed to your Easter-themed, mini-succulents pots. 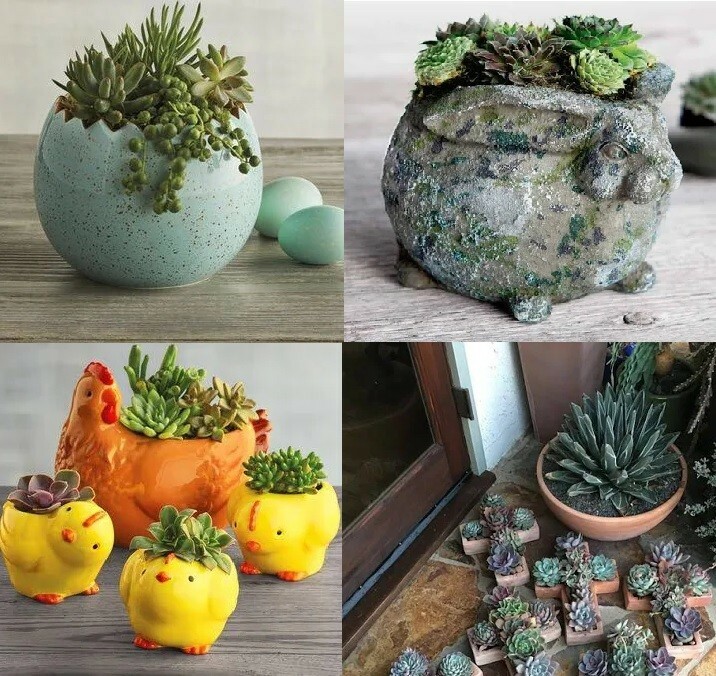 Prepare the plastic Easter eggs, glue gun, gold-inked marker, hexagonal tiles, potting soil, gravel, plastic spoon and our beloved succulent plants. You can use any type of succulent plant for this purpose. The video makes use of small assorted succulents, so we highly suggest rosette types, jade plant or aloe vera. Start by twisting the plastic Easter egg so that it separates in half. You might want to lightly pinch the middle portion of the plastic egg so that both halves will easily come off. For this project, you will only need the lower half of the plastic egg or the part with a flat base because it is more stable when rested on a surface. Decorate the rim of the plastic egg with the gold marker. Let the marker run over the area thoroughly to achieve a consistent and glossy gold coloration. Use the glue gun to punch a small circular hole in the base of the plastic egg. Next, take one hexagon tile to be used as a stand for the plastic egg. Use the glue gun again to stick the base of the plastic egg onto the tile. Scoop an adequate amount of garden soil to be placed into the plastic egg. The amount of soil should only cover half of the makeshift mini pot. Spread it thoroughly in the little container. Take the mini succulent and plant it in the garden soil. Get a pinchful amount of the gavel and place it around the plant. Make sure that the gavel does not overflow from the plastic egg. When you are done doing the previous steps with the rest of the plastic eggs, you are now ready to decorate your home with them. You can put the little planters on tabletops or shelves around your place. We recommend placing the plants in an area that gets enough sunlight during the day. This will help keep the plants’ healthy glow over time, and don’t forget to sprinkle them with droplets of water once every two or three days. 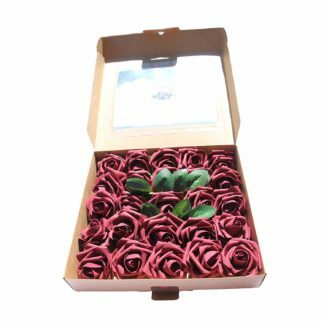 While it is fun to receive a bouquet of fresh roses during Valentine’s Day, nothing is more disheartening than seeing these flowers wither away in the next couple of days. No matter how much we try to make sure that these flowers remain alive, healthy, and fresh, it seems so easy for them to wither before our very eyes. That’s why you may want to give out succulent arrangements instead of bouquets of flowers. Succulents are actually cheaper if you think about it, and they definitely last longer. 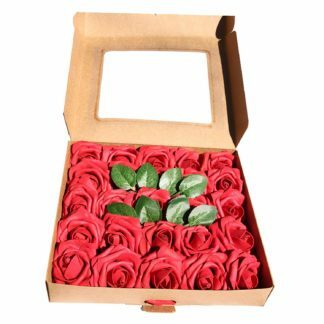 A bouquet of flower can cost from $30 up to hundreds of dollars. If you’re buying them during peak hours like Valentine’s Day, Christmas, and Graduation, they will be priced much higher. On contrary, succulents mostly maintain their prices regardless of the occasion. They are priced at around $30, too, but they can go cheaper, too, when you buy in bulk. 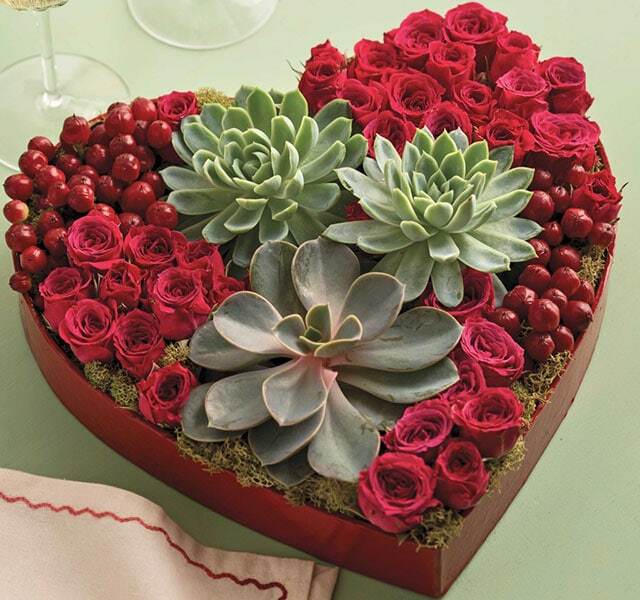 You can find great arrangements of succulents both online and in brick-and-mortar stores. There’s no avoiding when flowers will wither and die. Some last for a week while some can be kept alive for only a couple of days. Succulents can last for months without you watering it or putting it under direct sunlight. Even after you neglect succulents, they can still thrive and prosper. And if you see that they are starting to wither, you can simply water them or put them under a light. It is very easy for them to survive in rough conditions. If you don’t take care of your succulents, they will eventually die but it will still last longer than a bouquet of roses so the money you spend wouldn’t be such a waste. Succulents, even if they are not properly maintained, can last for weeks and months. You can buy another variety and plant it in the same pot you originally used for the arrangement. It will last again for weeks so if in case it dies, it’s okay, too, because you can get a new one. If you want your arrangement to last, it’s easy to keep it alive. All you need is water it when the soil is completely dried out and to put it under sunlight a couple of days each week. You can grow and maintain succulents no matter where you live. If you want to get the most out of your succulent arrangement, all you need is a little bit of effort to care for it. Succulents are definitely more unique and interesting than flowers. Everyone, at some point in their lives, received flowers while only a few got succulents for Valentine’s Day. Succulents are so diverse, too, so you can arrange different varieties for that unique succulent bouquet. The best thing about succulents is you can cut off a bit from their leaves and it can result in more plants. As it grows, you can take the cuttings from the plants and pot them somewhere else. You can turn one plant into a business or simply more arrangements to give to your friends and family. Succulent plants are popular with people who don’t have much time to take care of houseplants but still want that calm and serenity that plants bring to a home. Many place their potted succulents in their patios or their gardens so the plants can get the sunlight they need in order to bring out their visually aesthetic view. However, since we’re now officially in the winter season, it’s time to spare a moment of our time to think about what to do and where to place our succulent plants. One of the things you have to do once the cold season starts, whether it snows in your area or not, is to find a place for the succulents inside your house. Whether it’s a small table placed in the corner of your kitchen or a larger area in your garage, you need to make sure that they are safe (from your house pets) and they will still get the light they need. Before bringing your succulents inside the house, fertilize them one last time. Succulent plants don’t need fertilizer during the winter months and they only need diluted fertilizer once they start growing. When the temperature drops and the light level falls, the plants will go dormant, which means they don’t need fertilizing anymore for that period. Too much fertilizer causes the plants to have “soft leaves,” which will rot almost immediately. Even during the cold season, there’s still a little bit of bright light available during the day. Make sure that your succulent plants are placed in the area where they can get this light for at least three to four hours a day. Succulents need less light during the winter than the summer season when they are actively growing. Try to keep the temperature of the room where the succulents are in no cooler than 50 degrees Fahrenheit. Extreme coldness can harm the succulents. Succulents are the best plants for busy people because they retain water in their leaves, roots, and stems so they don’t require much watering. Overwatering the plants can lead to root rot. To water your succulents during the winter season, pour water on top of the leaves until the water drains out the bottom. Water the plants less during the colder months because dormant succulents need less water than they do when they are growing during summer. You can set your schedule to watering them once every month or two months or when you notice that their leaves are droopy or developing indentations. Every month, make it a habit to check the leaves of your plants for aphids or mealybugs, which look like tiny cotton balls. You should look under the leaves as well. If there are infested plants, move them away from the other plants. Next, fill a spray bottle with three parts rubbing alcohol mixed with one part water, and mist it onto the plant. This will kill the pests. Repeat misting the plants for a couple of weeks until all the pests are gone. We take care of succulents mostly because they are easy to maintain, and they look good with their fleshy leaves that are able to store water and moisture. They also come in a variety of colors and textures which give us more options when it comes to using them as house decors. Flowers are a wonderful and exciting bonus though, especially if we are talking about indoor plants. However, before talking about blooming succulents, we need to know the different factors that cause them to bloom and bring out their wonderful-looking and colored flowers. Not all flowering succulents bloom because of the habitat and the environment they are in. 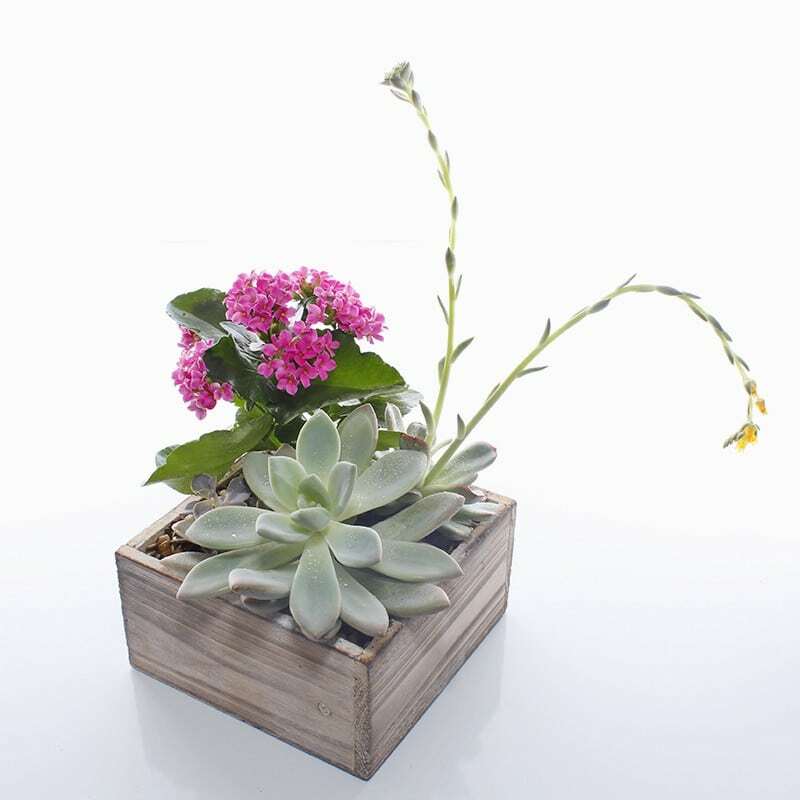 Many succulents bloom during the warmer summer months because of the extreme temperature. When you place your succulents indoors, you are basically letting them live in a controlled environment where the temperature barely changes (even during the winter months when we use the heater system and the warmer months when we turn on the air-conditioning unit). Succulents thrive and benefit when they are moved outdoors during the summer season. The move, however, should be gradual, exposing them to heat and sunlight over a couple of weeks before completely placing them in partial sun and warm temperature. Before deciding where to place your succulents, you need to know where they come from. For example, plants from cold-winter deserts like interior western American deserts and high-altitude South American deserts need winter dormancy and cold temperatures to induce spring blooms. Plants need fertilizer to provide the building blocks for flower formation. Flowering is important to all plants because the seeds are needed to perpetuate the species so they flower as much as possible. In the desert where these plants thrive, the soil provides a good base for flowering because there’s no water to leach the nutrients out of the soil. 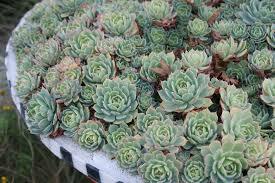 But under cultivation, you need to fertilize the succulents starting spring when the plants begin to grow. While the plants are growing, use a half-strength fertilizer then, discontinue the feeding in late summer or early fall. To promote flower formation, use a fertilizer with high phosphorus content such as 10-15-10. Succulents thrive even without regular watering because they are able to store water and moisture in their leaves, stems, and roots. However, without regular watering, they deplete the water they are able to store in their tissues. They live but they do not thrive. During their growing period, which is summer, make sure that you water the plants thoroughly until it comes out of the pot’s drainage holes. Don’t water again until the top of the soil is dry. During dormancy or winter months, keep the plants drier. Most succulents need sunlight for half the day, especially during the morning. They use this light to produce the food needed for blooming. There are only a few varieties of succulents such as gasterias, haworthias, and some aloes that will bloom if kept in full shade. If natural light is lacking, put the plants under grow lights. Thanksgiving is such a wonderful time to spend time with family and friends, to talk over platters and bowls of food, and to merry-make with our loved ones. Every year, there’s probably someone in the family or your group of friends who are tasked to handle the Thanksgiving dinner. Is this year your turn? If you’re tired of the usual fare being served during your annual Thanksgiving dinners, maybe up the competition a notch by going full succulents on them. That’s right. Unknown to many, there are many delicious recipes that involve succulents. You can make a whole feast—from appetizers to soups to salads to entrees—out of succulents. How about a mini taco that can be passed around from one table to another? You can saute the cactus with your favorite taco filling like chicken, shrimps, beef, and pork. You can choose between a hard taco shell or a soft taco shell. 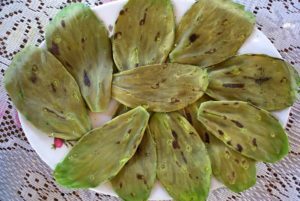 The crunch of the cacti leaf, which is meaty and sumptuous, will be an exciting surprise for your guests. 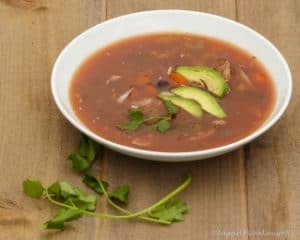 A heartwarming nopales soup on a chilly winter night is the best way to jumpstart your Thanksgiving dinner. You can make a lentil and cactus soup by boiling water in a soup pot with garlic, lentils, and chicken bouillon. After the lentils become soft at the one-hour mark, you can then lower the heat to a simmer. In a separate skillet, put extra-virgin olive oil and saute the garlic and onion until translucent. Add the tomato and stir until the tomato releases its juice. Add the lentil, the cumin, and the chicken bouillon before putting the nopales and the potatoes. Cook until the potatoes are tender, about 20 minutes. Grilled cactus sounds good to you? That’s right. 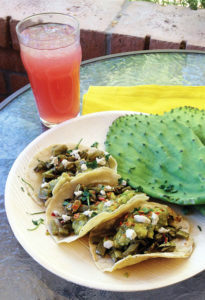 You can grill the cactus leaves and chop them into cubes. Put your favorite dressing together (a light virgin olive oil with a squeeze of lemon sounds wonderful), as well as other vegetables and garnishes such as iceberg lettuce, onions, olives, chopped eggs, and cherry tomatoes. Toss them all together and you’ll come up with a wonderful salad that everyone will love. Okay, you can still have your turkey dinner, don’t worry. Prepare your turkey the way you like it—with stuffing and turkey gravy and your cranberry sauce. But on the side, instead of the usual carbs like mashed potatoes and macaroni and cheese, you can serve the turkey with a cactus salsa. 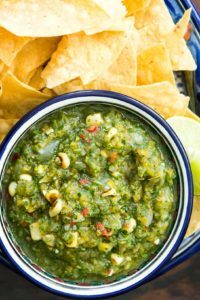 Turn your Thanksgiving dinner a bit Mexican by chopping the cactus into bite-sized pieces and mixing it with tomatoes, onions, and corn kernels. Drizzle it with a bit of olive oil and Himalayan salt, and you’re good to go. And while there are no succulent desserts, you can always design your cakes, cupcakes, and cookies into cactus shapes. 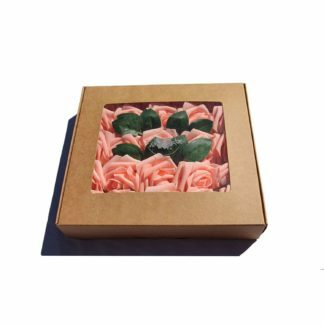 Simply purchase a cookie cutter in the shape of a cactus and color your cookies with same colorful foliage of the succulents in your garden. Using the right piping tip, you can also create a rosette on your cupcakes. Don’t we just love this season? Fiery leaves are falling and in many parts of America, snow has started to fall. Everywhere we go, there’s a holiday season vibe that seems to permeate the air. And over in our house, we’re prepping up for the much-awaited annual Thanksgiving dinner where we invite our family and friends for a night of marrying and well, eating. However, we want to make this year different. How do we do that? First, let’s take a look at how we’re decorating our homes for this festive season. Have you put up your Christmas trees and other Christmas ornaments? Don’t feel bad if you haven’t and don’t bother now for your Thanksgiving dinner. Christmas trees are better put up when you’re truly in that festive mood and not when you’re pressured and stressed out to do so. For this year’s Thanksgiving dinner, simply decorate your home with little knick-knacks of fresh succulent plants. Trust us, your home will be feeling Christmas-y and Thanksgiving-y in no time. Your patio is the first thing that your guests will notice when they arrive at your home. You’ll probably greet them there and you guys might even stay for a while to look at the neighborhood Christmas decorations. Make sure that your patio is inviting by putting up succulent ornaments. A simple hanging succulent in the entrance of your patio will look very chic and interesting. Simply put the hanging succulents in a glass orb and hang it from your patio’s ceiling. Just make sure you’re using a variety of succulent that will survive well during the winter season. Next, let’s look at your foyer or your living room. This is where your guests will have to wait until dinner is ready to be served. You’ll probably bring them a glass of champagne and some hors-d’oeuvres here. Focus on your table centerpieces where a miniature succulent garden should be in place. You can do this by purchasing a large terracotta pot with a wide opening, filling it up with soil, and designing them with pebbles, mini arbors, and miniature succulent plants. You can also use a large Jade tree in the corner of the room that you can decorate with twinkling Christmas lights. It’s going to look like your mini Christmas tree. Finally, we arrive at your dining area where you and your guests are going to spend most of the dinner hours. Your guests will be focused on the food that you will serve, yes, but since they’re also in your dining table, you might as well give them something they can feast their eyes on. A grand succulent centerpiece is what we’re talking about. 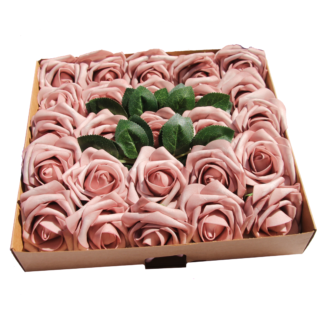 Think about how you’ll arrange a bouquet of roses. That’s how you want your succulent arrangement to look, too. You can use burro’s tail, rosettes, and other baby succulents to fill up the glass container. For this arrangement, you don’t need to put draining holes in the container since you’re going to return these plants to their original ones after dinner in your house. Tired of the usual succulent arrangement you see on your tabletop? Want something unique, fun, and interesting? Have you ever heard of a tabletop mini succulent garden? 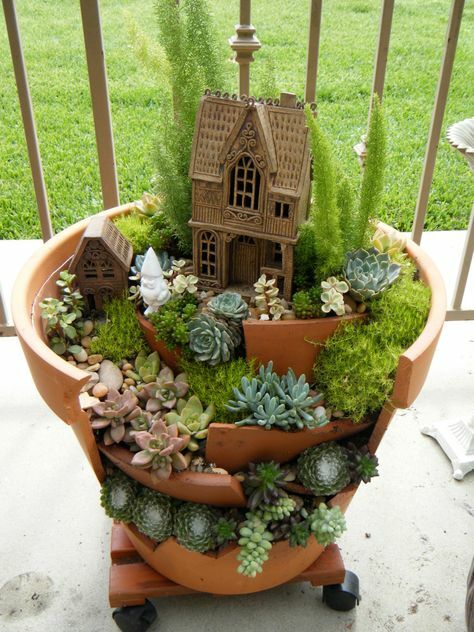 Basically, it’s an arrangement of succulents but designed as a miniature garden in a large terracotta. You can put it on your foyer, your dining room table, your living room center table, or even in your outdoor garden. These tabletop miniature gardens are so addicting to arrange and they make for a great conversation starter. First, what you need are 12-inch terracotta pot saucer (with or without drainage holes), cactus mix potting soil, miniature garden furnishings (arbor, chair, wheelbarrow, urn, cat, and dog), tiny pebbles or crushed rocks, and succulents with small leaves such as Crassula Tetragona, sedums, small-stacked crassulas, and Sedum rubrotinctum. You can get all these materials from your local gardening shop or hardware. Most of these can be found under the gardening section. As for the succulents, you can pick them up from your favorite succulent store or you can find all of these available online. Simply place the order and wait for the delivery guy to drop off your succulent plants. Just remind the seller to pack the plants as securely as possible, so that they won’t lose any leaves or break off any stem. 1. Fill the pot with soil. Clean the succulents pot and make sure that there are no broken areas. If there are no draining holes, drill small holes at the bottom of the pot, so you can water the succulents. It doesn’t have to be too many holes. Just a few small ones will do; enough to drain the water off the arrangement. Fill the terracotta pot with potting mix up to ½ inch below the rim. Next, secure the miniature arbor about an inch inside the rim of the saucer. If you are growing succulents at home, simply pinch the top-half inch of the plants so you can insert their rosettes or tips into the soil. Do not put the plants on your “pathway.” Rather, place them between the pathway and the rim, creating a lush greenery that surrounds your little arbor. Finally, make the tabletop miniature garden look more realistic by adding accents such as a cat sitting on a bench, the wheelbarrow, a dog sitting beside the arbor, etc. You can be as creative as you want to be when it comes to using accents for a miniature garden. You can also pattern your tabletop miniature garden after your very own outdoor garden. Just find miniature accents that look exactly like the things you have scattered around your garden.